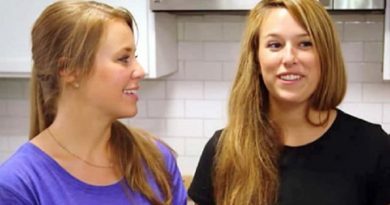 Counting On star Jana Duggar just gave a really sweet gift to Carlin Bates, her friend, for her wedding. Carlin and Jana have been friends for a while. Carlin is on the show Bringing Up Bates which airs on UP. You have also seen the Bates family on 19 Kids and Counting. They are both very large families and just happen to be good friends as well. The fans have wondered for years when Jana Duggar will get married. So far, she hasn’t found her prince charming. The Counting On cast member did just send a really sweet wedding gift to her friend Carlin Bates, though. Carlin actually shared about it on her Instagram story. She couldn’t tag Jana, because she doesn’t have social networks. 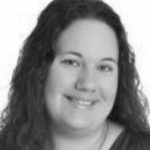 Carlin Bates is in the planning process of her wedding, but you know they won’t wait too long to tie the knot. She said, “I feel much more prepared now. Thhannnkkks [sic] a million for the package.” You can see a card that says it is from Jana Duggar, the reality star from Counting On. This was a great gift package. It includes several books and a Starbucks gift card. Carlin may need that coffee for all the wedding planning! About a month ago, Carlin Bates announced that she was engaged to Evan Stewart. The fans have enjoyed watching these two court on Bringing Up Bates. 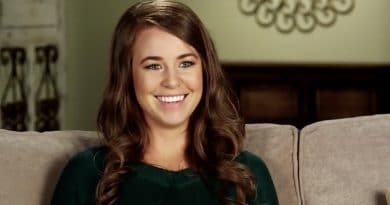 At this time, Jana Duggar is still single and just enjoying life. The star of Counting On is living at home. She could end up finding someone, but she has made it clear she won’t just settle. On the show, she has talked about how she wants a guy who isn’t afraid to get his hands dirty. There have also been guys interested in courting her, but she turned them down. Jana is going to wait for the right guy to come along, which you can’t hold against her. Jana Duggar still lives at home, which means she is really helping out with taking care of the younger kids. Things will really change when she moves out. Stay up to date with news about the Counting On family by checking in with Soap Dirt often.